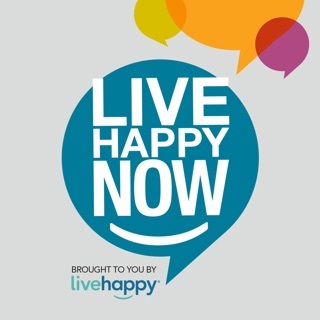 BeingHappy - Measures your happiness and gives you a Happy Score, based on selecting a minimum of 3 emotions (emoticons) that you are feeling in the moment. 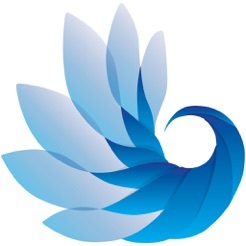 BeingHappy brings awareness to your emotional state. 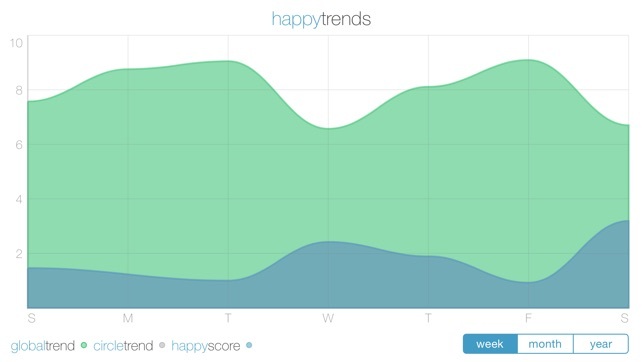 BeingHappy tracks your Happy Score over time. 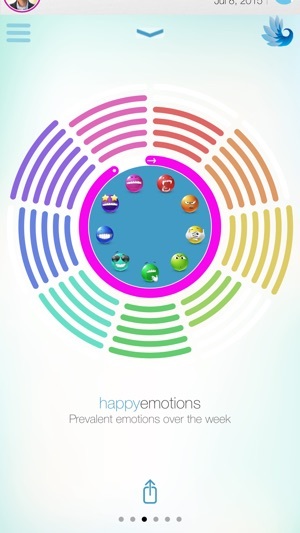 It also abstracts intelligence from your emotions and happy score, and at the moment can track which are the most used emotions, or how does weather affect your happiness. You can share your Happy Score with your close friends and family, and can interact with them, by giving them "hearts" either as a way of saying you are happy for them, or as a way of pulling them up. 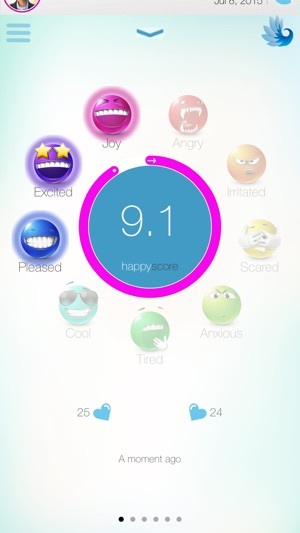 BeingHappy, Happy Score algorithm is a learning algorithm, which is always learning from overtime you score, your interactions your location, and in the future your health, sleep cycle and exercise. 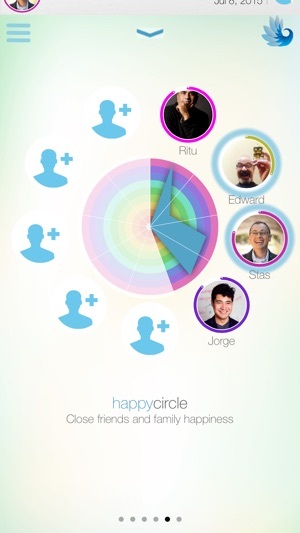 BeingHappy is a data driven, highly sophisticated Mood Tracker. 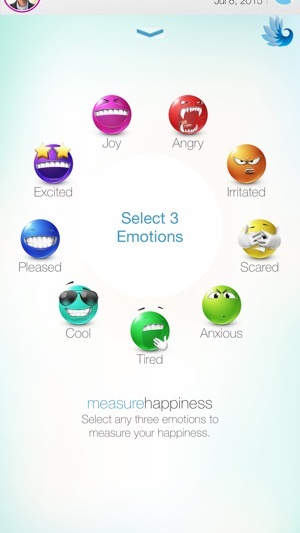 BeingHappy helped me to understand what it means "to get in touch with your emotions." It affected my productivity, energy and communication. Did not expect it - this is huge! Pleasant graphics, well done, stupid easy, takes a few sec per day. Def. recommend it. Great idea! I'm still getting a hang of it but it helps me take note of how I'm feeling at a given moment. It also lets me ping my close ones to do the same and let each other know of how our moods are. Interesting concept. I found this app very interesting. It certainly makes one more self-aware. 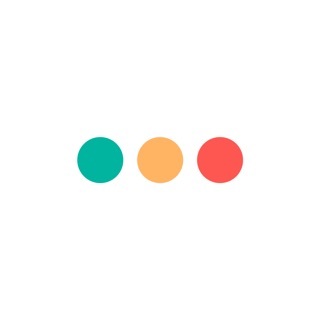 Seems like this app could improve social interaction aside from its entertaining function.